"SHORE EXCURSIONS IN ITALY TOURS" PAGE!! Pisa, just 50 minutes far from La Spezia Port, was a Roman City and then in the Medieval time, thanks to some important Pisan Families, became such a beautiful town, another "jewel" of Tuscany: All the 3 most important things are in "The Miracles Square": The Baptistry, the Duomo and the "Leaning" Tower. From Pisa will drive within 1 hour to Florence. Will start the Tour from Michelangelo Square where you have a breathtaking view over the City of Florence. Will keep driving to Santa Croce Square, where many leather shops are and possibility to visit the Church (Euro 8 each), where all the most important italian artists are buried: (Michelangelo, Galilei, Ugo Foscolo, ecc). Will drive then, if you like, to the Academia Museum (closed on Monday) to see the David by Michelangelo (You should pre purchase the tkts on line to avoid the queue, for a 12.30 pm. entrance) and driving then around the city will stop in the Duomo area to visit it, Giotto Bell Tower, the Signoria Square and Palace, The Old Bridge. You will have free time at disposal for shopping (good leather and gold) and lunch (not incld) (our Driver will suggest you nice places for a typical local lunch). Around 03.00 or 04.00 pm., will drive you to taste the best "gelato" in town and then will drive back to La Spezia Port, in order to drop you off at the Port Entrance, around 05.00 or 06.00 p.m.
Lucca, one hour away from La Spezia Port, is a very charming city! Considered the "Music Town" since the Italian composer Puccini was born there. Will stop at the city walls and you will have free time to discover it: Puccini's House and Museum, San Michele al Foro Square built on top of the Roman Forum, the Duomo and the Amphitheatre Square, built on top of a roman one. From Lucca will drive within 1 hour to Florence. Will start the Tour from Michelangelo Square where you have a breathtaking view on the City of Florence. Will keep driving to Santa Croce Church where all the most important italian artists are buried: (Michelangelo, Galilei, Ugo Foscolo, ecc). Will drive then to the Academia Museum (closed on Monday) to see the David by Michelangelo (You should pre purchase the tkts on line to avoid the queue) and driving then around the city will stop in the Duomo area to visit it, Giotto Bell Tower, the Signoria Square and Palace, The Old Bridge. You will have free time at disposal for shopping (good leather and gold) and lunch (not incld) (our Driver will suggest you nice places for a typical local lunch). Around 03.00 or 04.00 p.m. will drive you to taste the best "gelato" in town and then will drive back to La Spezia Port, in order to drop you off at the Port Entrance around 05.00 or 06.00 pm. You will be driven to Pompeii where you will spend 2 hours visiting the best roman town left, guided (if you like) by a local licensed Guide for a private Tour (Optional at Euro 120 plus tkts) who can be booked in advance, or tour on your own. Will drive you then towards Sorrento, where you will visit the medieval section of the city with lots of shopping opportunities: Cameos, inlaid wood works, leather accessories, ceramics and the "Limoncello" Liquor. You driver will give you tips where to go for a fantastic typical lunch (not incld in the tour rate) and the best "Gelato" (ice cream) in town. After lunch, shopping and visit, will keep driving towards Positano, along the Sorrentinan and Amalfi Coast, with some stops on the way for amazing pictures, this very nice Village whose name came from "Poseidon" (The Greek God). You will have free time to walk through the narrow street full of local fashion shops and outdoor cafes. From Positano, around 03.30 p.m. you will be driven back to the Port of Salerno and will be dropped off in front of the ship at 05.00 p.m. THESE ARE JUST SOME MAIN EXCURSIONS WE PROVIDE FROM MESSINA AND TAORMINA PORTS. FOR ADDTL TOURS HAVE A LOOK AT OUR "SHORE EXCURSIONS IN ITALY TOURS" PAGE!! Our driver will pick you up at the port of Messina, at 08.00 a.m. to drive you to the highest and active volcano of Europe. We will drive up to 2.000 meters from where we will walk together to visit the "Silvestri" craters, the latest new lava flows and craters from 2001/2003. On the way, we will visit a local family farm where it is possible to taste local Etna wine, a selection of different types of honey (orange, lemon, eucalyptus, strawberry...), almond pastries, olives, extra virgin olive oil. Driving down from the Volcano through a wonderful pine tree forest, we will arrive to Taormina. You Will visit the Greek Theatre, a stroll to the main street "Corso Umberto" with several art and designer shops, Baroque churches and beautiful historical Buildings. You can have an excellent lunch (not incld) at one of the local Sicilian best restaurants suggested by your driver. After lunch, you will be driven back to Messina Port and dropped off in front of the ship at 05.00 pm. Leaving the Port of Messina at 08.00 am., we will reach the charming town of Savoca. Savoca is not a tourist town, it is a simple every day "local" town set on the hillside of the foothills of the Peloritani Mountains. This is where Al Pacino and Cast shot the "GodFather" Film. Following their footsteps and visiting the places that were so often shown throughout the movie will bring you back many memories. While in town "a must" is the stop for a Lemon Granita at the famous bar "VITELLI" , one of Coppola's favorite spots, showed many times throughout the film. 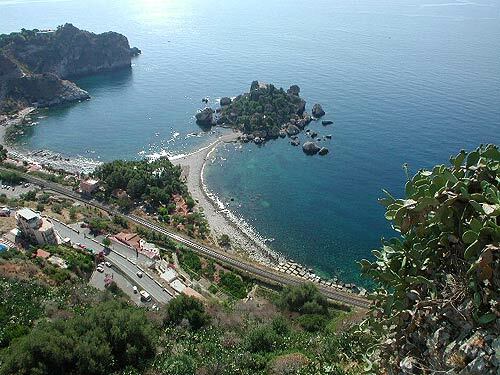 From Savoca we will drive to Forza d'Agrò which is without a doubt one of the best examples of a typical village of the Province of Messina which still preserves its medieval street layout and on every side of the town you have the most incredible views. In this town you will find local traditions, culture, history and art. We will drive you then to the historical centre of Taormina and under our tip, you will have your own free time to explore the village, stroll the main streets and narrow ways with picturesque corners and nice shops. We can suggest a good local place for lunch (not incld). You will have the time to visit the Greek Theatre and the most important highlights of Taormina. After lunch, will drive you back to Messina Port to drop you off in front of the ship again at 05.00 pm. From Messina Port, where we will pick you up at 08.00 am., we will drive you up to the hillside, towards Taormina area. We will visit together the most panoramic square "Belvedere square" with its unique breathtaking view over Messina coast line, Taormina bay, Catania coast line and our volcano Etna in the background. 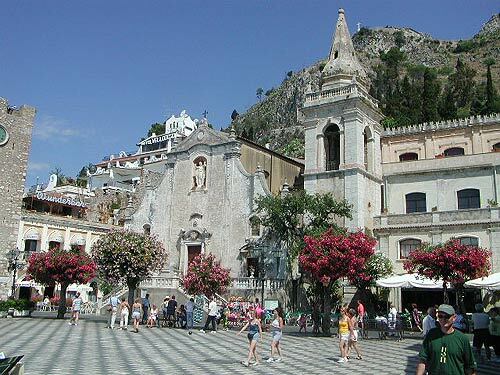 We will then drive to the charming medieval village of Castelmola, just above Taormina. 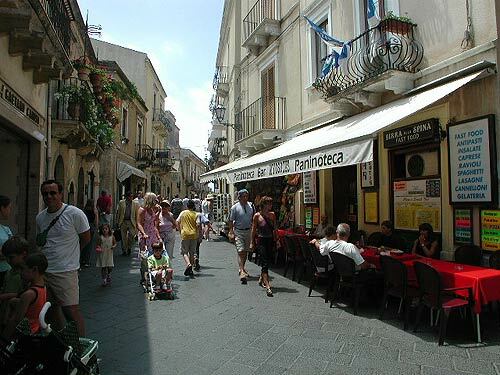 We will stroll several narrow picturesque streets with wonderful sea and Etna views. We can also visit the 13th century Arab castle, situated on the highest and most panoramic spot of the area. We will drive you then to the historical centre of Taormina and after your driver's tips, you will have free time to explore the village, stroll the mean streets and narrow ways with picturesque corners and nice shops. We will suggest you a good local place for lunch (not incld in the rate). You will have time to visit the Greek Theatre and the most important highlights of Taormina. We will drive you from Messina Port, where we will pick you up at 08.00 am. to the highest and active volcano of Europe through several Sicilian towns, such as Santa Venerina, Zafferana...Will see on the way some old lava flows and during the ascent different kinds of vegetation will be noticed. You will have the possibility to reach 3.000 meters with the cablecar. Driving down from the mount we will enjoy a stop at a famous winery to tour the property, wine cellar and of course have a tasting of the unique Etna wine, accompanied by a selection of local Sicilian products (optional). At the end of the tour, you will be driven back to Messina port and dropped off at 05.00 pm. DO NOT HESITATE TO CONTACT US, FOR THE SUGGESTED ITINERARIES AND RATES! !